About two years ago , the Dutch consumer association Consumentenbond sued Samsung for its Android update policy. The association claimed that Samsung did not inform users of the time when their devices receive software updates and required the company to provide support for a period of at least four years. Samsung defended itself by claiming that its terminals sold in the Netherlands, where the trial took place, receive two years of support to which they are committed, although from Consumentenbond they highlighted many examples in which this unwritten rule had not been complied with. The trial began last month and the ruling has been favorable for Samsung. The case of Samsung and the alleged lack of updates has already concluded and as we said the result has given the reason to Samsung; or rather, it has been taken away from the consumer association that sued them. According to the judge, the requests of Consumentenbond are inadmissible because they refer to “future acts”. His explanation for reaching this conclusion is that there are factors that could affect the timing of updates, such as a bug that prevented the update or simply hardware limitations. In this sense, the court can not dictate to Samsung to update their smartphones for a period of time without knowing possible problems that may arise. 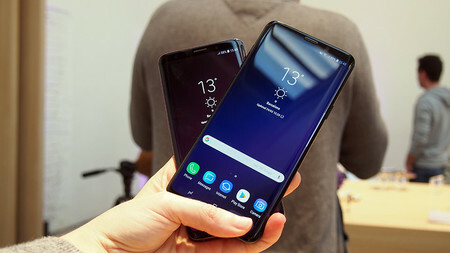 The consumer association that initiated the process described the decision as disappointing and stated that “Samsung is the one who decides to launch so many mobile phones, nobody is forcing them in. A car manufacturer must ensure that its models are safe and continue to be so. obligation”. If the demand has won, it is very possible that Samsung would have had to update old terminals that have not received new versions for some time and could have affected more countries, but it has not. The lack of updates is a problem extended in Android that leads to a fragmented system with terminals with very old versions and, in many cases, without security patches, something that usually affects the most economical ranges, where the new versions take time more in calar. Google has taken steps to combat fragmentation, but the latest version distribution data make it clear that the problem is far from being solved.